In 1895 Liberal Catholics in America were struggling to maintain that one could be a good American and a good Catholic at the same time. Bishop John J. Keane had been relieved of his post as Rector of the Catholic University of America because he was suspected of being liberal, too much American, too little Catholic. Monsignor Denis O'Connell had been deposed as Rector of the American College at Rome for the same reason. Archbishop John Ireland of St. Paul, the 'consecrated blizzard of the Midwest,' was accused by German-American Catholics and by conservative Archbishop Corrigan of New York of favoring American ways over Catholic schools. Bishop Keane was posted to Rome where he joined Denis O'Connell in an effort to clear their names and make Rome understand that Americanism and Roman Catholicism were not in opposition. Baroness Augusta von Eichthal befriended the American prelates and arranged for them to have their defense published in one of Germany's most influential newspapers. When she put the Americans in contact with Professor Doctor Franz Xaver Kraus, the secret 'Spectator' columnist of the Munich Allgemeine Zeitung, Europe was supplied with their side of the controversy. The interior working of the liberal combination is revealed in letters which Baroness von Eichthal wrote from 1895 to 1901 to her close friend, priest and scholar F. X. Kraus. The caustic and observant letters flowed from the busy pen of a Bavarian spinster supplied with the sarcastic wisdom of her sixty-five years. 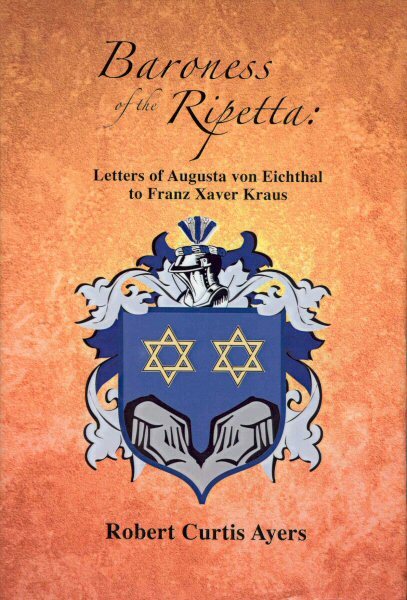 Translated from German, annotated, and with a full introduction, these letters are published for the first time.